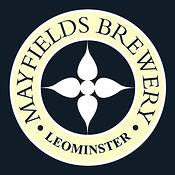 I'd not seen or heard of Mayfields Brewery before I started visiting Holborn Ales in Ormskirk and spotted them on the shelves. I find that a pale ale is a good test of a brewery and so picked up a bottle of the Priory Pale Ale back in March. Unfortunately I found it thin and lacking as a bottle ale and mentioned this to the brewer via Twitter. This started a conversation about the fact that their bottles were sent out to an external bottler and due to the filtration & bottling process a lot of the flavour and character of the beer had also been filtered out. Look out for a 'baron rating' for this Mayfields Brewery beer soon, and a big thank you to Adam (@MayfieldsBrewer) for sending it through to me!